Oriental Land, which operates the Tokyo Disney Resort complex that includes the Disneyland and DisneySea theme parks, has revealed plans for a massive expansion. Completion is expected in 2023. The company plans to invest nearly $2.7 billion to upgrade and expand facilities and attractions, while planning to double visitor numbers by 2020, the year of the upcoming Tokyo Olympics. With the planned expansion the 100-hectare complex is expected to grow 30%. Oriental Land operates Tokyo Disney Resort under license from Disney. Since its start in 1983 with the opening of Tokyo Disneyland, the theme park, hotel and shopping complex in Chiba Prefecture, has grown to attract nearly 30 million visitors annually. Tokyo Disneyland’s newly announced attractions might bring new people in to be their guests. 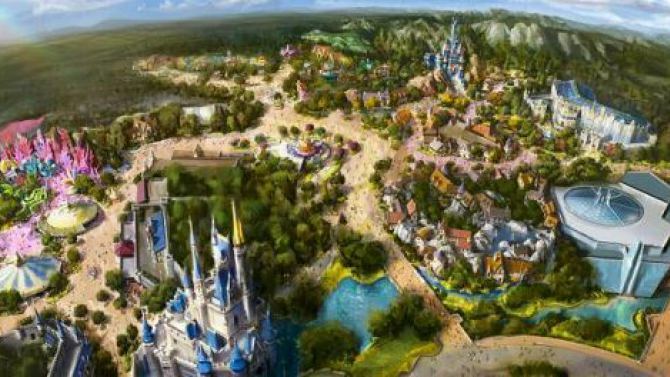 The Oriental Land Company, which owns the whole Tokyo Disney Resort, announced expansions for Tokyo Disneyland and Tokyo DisneySea Parks that would be completed by the end of 2020. The big highlight is a revamped Fantasyland centered around a new area with a heavy Beauty and the Beast theme. 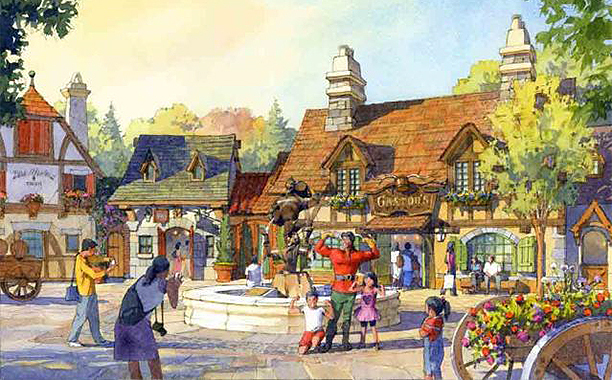 Expected to arrive in Spring 2020, visitors will be able to experience the Beast’s legendary castle and Belle’s bucolic village. The main ride in the castle puts riders on “enchanted serving dishes that dance in rhythm to the film’s well-known music and follow Belle on a romantic musical adventure inside the enchanted Castle where she dances her way into the heart of the Beast, just in time to break the fateful spell,” according to a press release. Big Hero 6 lovers also received good news. 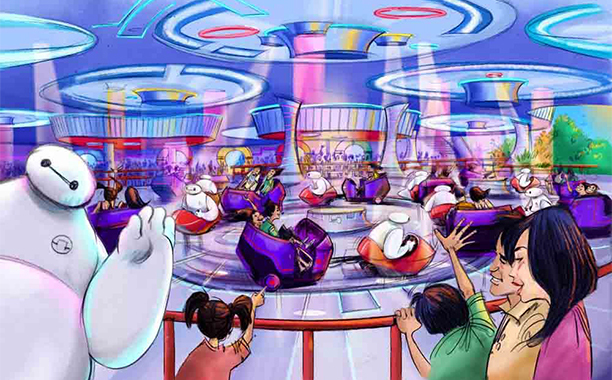 Baymax will accompany riders on a 90-second whip ride set to music. Like Beauty and the Beast, it’s estimated to open in Spring 2020. 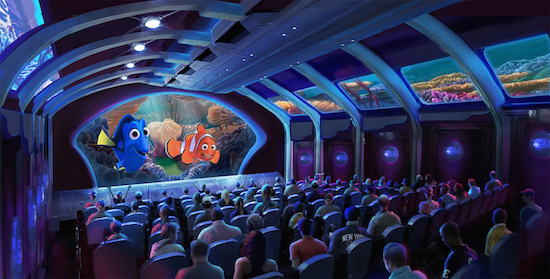 Oriental Land Company has announced that a new attraction themed to the world of the Disney•Pixar film “Finding Nemo” and its upcoming sequel “Finding Dory” (to be released in 2016) will open in Port Discovery at Tokyo DisneySea Park in spring 2017. Bob Chapek has been named Chairman, Walt Disney Parks and Resorts, it was announced today by Robert A. Iger, Chairman and Chief Executive Officer, and Thomas O. Staggs, Chief Operating Officer, The Walt Disney Company. A 22-year veteran of The Walt Disney Company, Mr. Chapek has served since 2011 as President of Disney Consumer Products, driving a technology-led transformation of the Company’s consumer products, retail and publishing operations. He assumes his new role effective immediately. As Chairman of Parks and Resorts, Mr. Chapek succeeds Mr. Staggs, who was named Disney’s Chief Operating Officer earlier this month. Mr. Chapek will report to both Mr. Iger and Mr. Staggs. “I am grateful for the many opportunities I have had during my years at Disney, and am thrilled to join the incredible Disney Parks organization,” Mr. Chapek said. “I look forward to working with the remarkably talented team dedicated to creating magical memories for millions of guests around the world.” A successor to Mr. Chapek at Disney Consumer Products will be named at a later date. 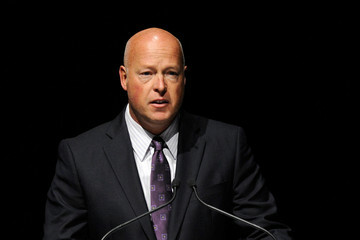 Prior to leading Disney Consumer Products, Mr. Chapek served as President of Distribution for The Walt Disney Studios from 2009 to 2011, and was responsible for overseeing the Studios’ overall content distribution strategy across multiple platforms including theatrical exhibition, home entertainment, pay TV, digital entertainment and new media. He also served as President of Walt Disney Studios Home Entertainment, where he spearheaded the successful “vault strategy” for the company’s iconic films and transformed the primary format of home entertainment from DVD to Blu-ray. Before joining Disney in 1993, Mr. Chapek worked in brand management at H.J. Heinz Company and in advertising at J. Walter Thompson. Mr. Chapek earned a B.S. in Microbiology at Indiana University Bloomington and an MBA from Michigan State University. Oriental Land announced plans to expand Tokyo Disneyland and Tokyo DisneySea. Some of the work on the expansion has already begun. 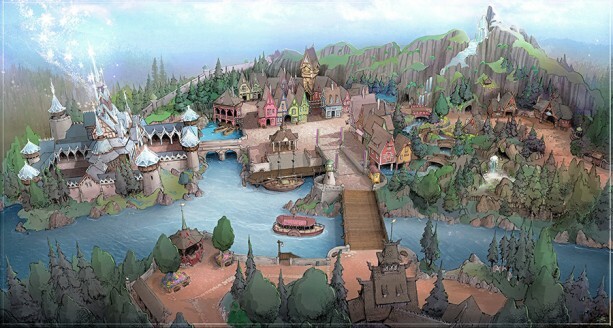 In addition to the renovation of the existing Fantasyland, major new attractions, restaurants and shops are being considered for installation in the expansion site. Chief Executive magazine today announced that Bob Iger, CEO of The Walt Disney Company, has been named “2014 CEO of the Year,” an honor bestowed upon an outstanding corporate leader, nominated and selected by a group of CEO peers. This is the 29th year the award has been given, with past honorees including Bill Gates, former CEO of Microsoft, Jack Welch, former CEO of GE and Michael Dell, founder, chairman and CEO of Dell Computers. Just the sixth CEO in the company’s history, Iger, who took over the helm in October 2005, transformed the organization into a profit-making powerhouse. He acquired Pixar Animation Studios from Steve Jobs in 2006 and Marvel Entertainment in 2009. In 2012, Iger negotiated a deal for Lucasfilm, which gave Disney the rights to the Star Wars brand. 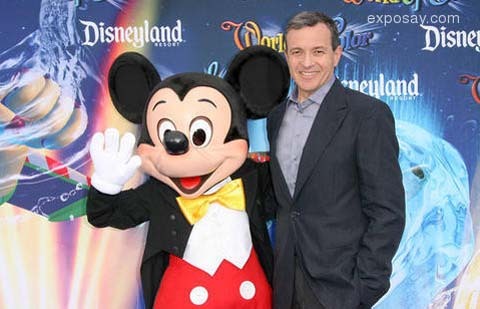 During Iger’s tenure, Walt Disney’s 2013 shareholder return was 202 percent. In February of this year, the stock price hit an all-time closing high of $79.23, compared to just$23.81 when Iger first took over as CEO. Nominations for CEO of the Year were garnered from among the readers of Chief Executive magazine. The 10 most frequently cited nominations were evaluated and a winner voted upon at a meeting of a peer Selection Committee, which took place earlier this year inNew York City. The 2014 CEO of the Year Selection Committee was comprised of: David Cote, Chairman and CEO, Honeywell, and 2013 Chief Executive of the Year; Dan Glaser, President and CEO, Marsh & McLennan; Fred Hassan, chairman, Zx Pharma and partner/managing director, Healthcare at Warburg Pincus; Tamara Lundgren, President and CEO, Schnitzer Steel Industries; Tom Quinlan, President and CEO, RR Donnelley; Christine Jacobs, former chairman and CEO, Theragenics, and director, McKesson; Bob Nardelli, CEO, XLR-8, Bill Nuti, Chairman and CEO, NCR’ Jeff Sonnenfeld, President and CEO, Chief Executive Leadership Institute, Yale School of Management;Mark Weinberger, Chairman and CEO, EY; Maggie Wilderotter, Chairman and CEO, Frontier Communications; and Tom Saporito, Chairman and CEO, RHR International. “Bob is a visionary and innovator who consistently delivers terrific performance across a diverse portfolio of businesses,” Dan Glasersaid. Iger’s 2014 CEO of the Year designation will be celebrated at an invitation-only event hosted by NYSE Euronext and the Chief Executive Group at the New York Stock Exchange in July. The Tokyo Disney Resort amusement park complex near Tokyo received its 600 millionth guest Saturday, according to Oriental Land Company. 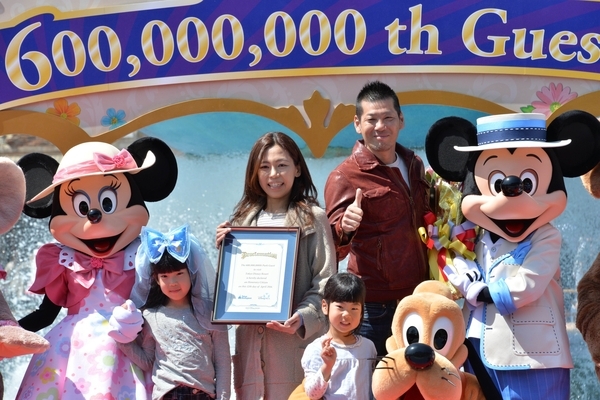 Yumi Sakai, a 39-year-old nurse from Nagoya who was visiting with her husband and two daughters, was greeted by Mickey Mouse and other Disney characters as she became the milestone figure. The resort which opened as Tokyo Disneyland in April 1983 with Tokyo DisneySea added in 2001, marked 100 million visitors in May 1991 and 500 million in August 2010. Located in Urayasu, Chiba prefecture, the park logged a record-high 31.3 million visitors in fiscal 2013, which ended in March, due to events commemorating its 30th anniversary and a pickup in the Japanese economy.